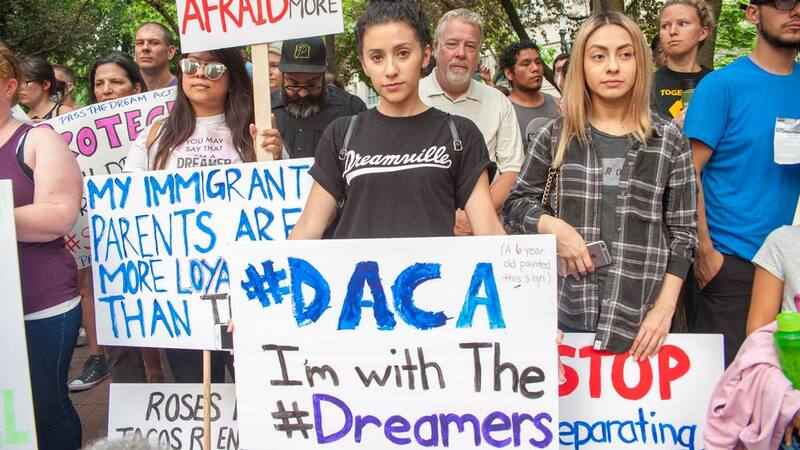 WASHINGTON -- Citizenship and Immigration Services says it's resumed accepting requests to renew a grant of deferred action under the Obama-era program that shields from deportation young immigrants brought to the U.S. as children and who remain in the country illegally. In a statement posted Saturday on its website, the USCIS says the policy under the Deferred Actions for Childhood Arrivals program, or DACA, will be operated under the terms in place before it was rescinded in September. Congressional lawmakers are trying to write legislation to give the so-called Dreamers legal status.